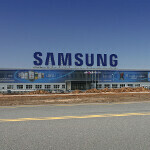 With a leading 29% of the global handset market, Samsung says that in 2013 it will ship a record 510 million handsets. Of that total, 390 million of them are expected to be smartphones with the balance considered to be featurephones. The 510 million would represent an increase of 20% from the estimated 420 million units that Sammy shipped in 2012. Besides the Android powered Samsung Galaxy line, which has become the number one challenger to the popularity of the Apple iPhone, Samsung will be shipping more Windows Phone 8 powered motels and will also release units running the open source Tizen OS. One source says that Samsung's Vietnamese factory will produce 240 million units with 170 million coming from China and 20 million walking out the door in India. 40 million will be produced in Samsung's own backyard in Korea. The 390 million smartphones that Samsung expects to ship this year is in contrast with the analysis done by Gartner that predicted between 250 million and 300 million smartphones would be shipped by Sammy in 2013. In 2011, Gartner says that Samsung sold 97.4 million smartphones, up from the 23.9 million it shipped in 2010, and the 600,000 shipped in 2009. Research firm HIS iSuppli, said that in 2012 Samsung ended Nokia's 14 year reign on top of the handset production market. In 2011, Nokia had a leading 30% share of the market with Samsung trailing at 24%. For 2012, it is Samsung at the top with 29%, and Nokia second with 24%. "Samsung’s proven ability to quickly produce and replace a wide range of handsets aimed at several different markets contrasts with Nokia’s struggles and Apple’s difficulties that are mainly related to parts sourcing problems. "-Hwang Min-seong, analyst Samsung Securities. Hat's to you Sammy! Sony, LG, Moto,... what's your answer? And last but not least, the SAR VALUE. The Galaxy line always had among the lowest radiation values on the smartphone market!! I can't help but think...how many times is the fruit going to sue? As far as i see, it's not stopping anytime soon. way to go Sammy, that's my boy! cant wait for the S4. loving my S3 to death.